ANKARA (Sputnik) - The state investment plan was rolled out earlier in the week. It shows that the government intends to spend a total of $41 million on the project, expected to be brought into life by the end of the year. 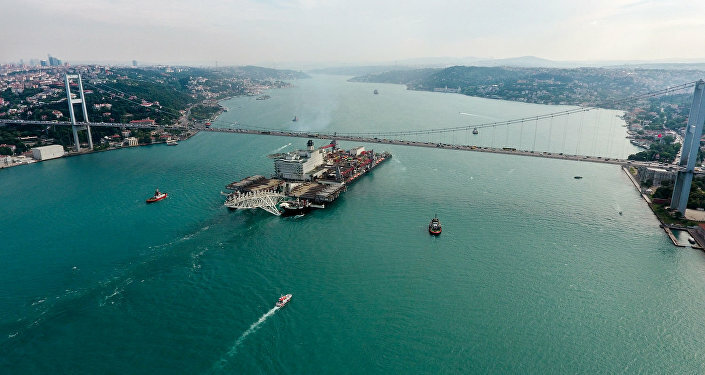 Turkey has earmarked an equivalent of $23 million in the 2019 investment plan for the land section of the TurkStream pipeline that will carry natural gas from Russia under the Black Sea. The pipeline will consist of two strings with a total capacity of 1.1 trillion cubic feet a year. The first leg will bring gas to Turkish consumers, while the second one will transport gas to Southern and Southeastern Europe. Several EU countries said they wanted to be part of the project. An extension of the pipeline is also set to be constructed in Bulgaria. The country's Bulgartransgaz announced in late January that the company had made the final decision on the construction of a new gas pipeline that would be running through the country from the Turkish border to Serbia. The pipeline is expected to be launched by the end of 2019.